Download the MennoCon Registration Guide that will walk you through the registration process. 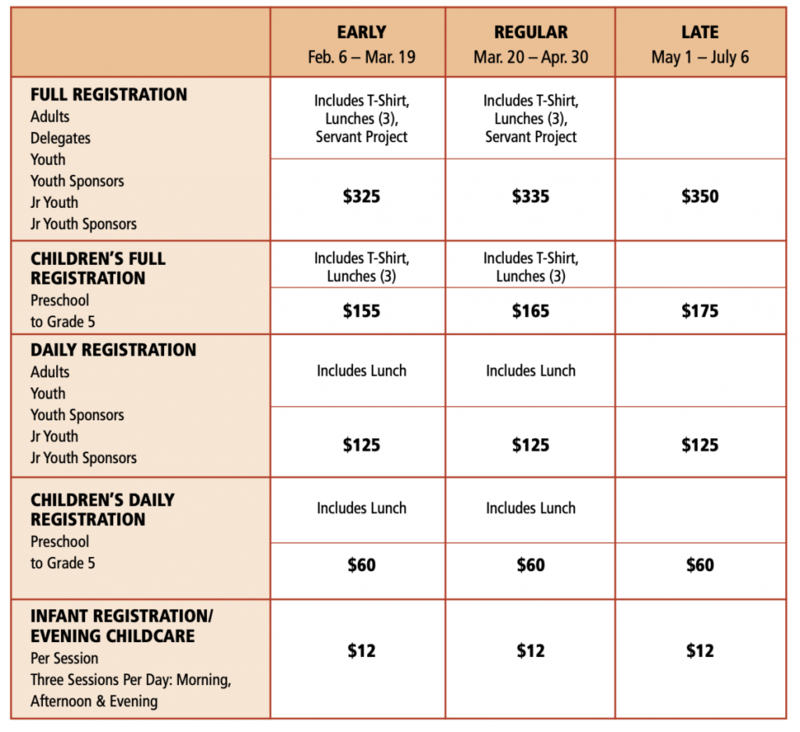 Early registration for MennoCon19 is NOW OPEN. Regular registration rates will take effect on March 20. Late registration begins May 1. Early and regular registration includes participation in convention activities, t-shirt and (3) lunches. Late registration does not include t-shirt or lunch. Registration Worksheet Use this worksheet to gather pertinent information before beginning the registration process. Medical Release Form Anyone under the age of 18 should complete this form and will need to be uploaded to each youth’s registration record. Scholarship Application This form is used to apply for scholarship funds.